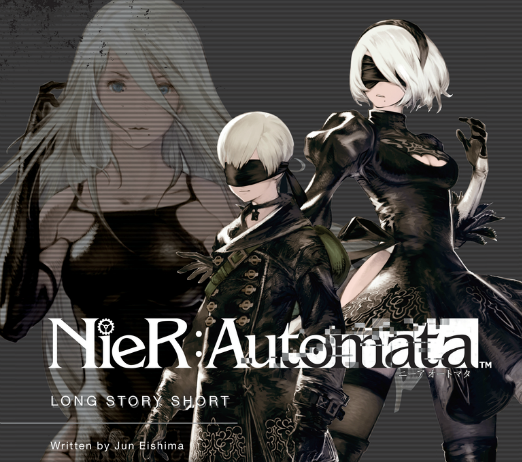 NieR:Automata: Long Story Short Review – AiPT! NieR:Automata is one of the most groundbreaking video games in some time. The story isn’t conventional in the slightest and there are real emotions felt when playing the game. That includes frustrations since it’s not an easy game to play, but also some great moments of sorrow as the human race is nearly destroyed completely. The part-RPG, part-hack and slash game set itself apart from other semi-open world titles because it was so damn weird. The art design of the game and the sense of scale were so epic and memorable that it’s no wonder there’s a novelization out now from Viz Media. When alien forces invade with an army of Machines, the remnants of humanity must depend on Androids of their own design–the placid 2B and the excitable 9S–to survive. This book is for those who want to relive the game via novelization, as well as those who can’t play the game but want to get a taste of the story. If you have played the game you might not want to read this book because it’s largely a retelling of the events you already played. Some side quests aren’t covered, which makes sense given that they aren’t part of the larger story, but it’s worth noting. The story is told via a robotic writing style which suits the robot main characters. This can be slightly annoying at times since it’s so matter-of-fact and cold, but it didn’t bother me that much. The big draw for those who played the game is getting a bit more color from the main characters. This novelization explores the thoughts of the characters within the moments you experienced playing the game. That adds some additional information as far as their states of mind and, conceivably, the psychological elements in the game. There is added bonus art at the start of each chapter that has a sketchy hand-drawn look. This gives some vivid imagery for those who haven’t played the game, providing a taste of what those who have played it are visualizing. The art also sets a mood and gives you a hint at what is coming next. The robotic language can make for less than interesting beats in the story. Take this passage: “Confidential. 2B didn’t like the word. Nothing good ever came when that word was involved.” Or another: “He heard a bone break. Unfazed, he put forward his own black box. He could see 2B’s black box. Just a little more.” The voice in this story has very little flow, in part because the complexity of the sentences is limited. This can pull you out of the story and it actually makes the read slower in its pace. That can be severely limiting when there’s an action scene taking place. The other negative is the fact that nothing new as far as scenes or reveals is presented here if you’ve played the game. I speak from experience reading comic book adaptions, and a new form of media like this should probably add to the experience. When something is a straight adaptation it forces you to wonder who the audience for it is. Pair this with the robotic language and it’s quite clear that this is the lesser of two options for enjoying the story of NieR:Automata. It’s nice to get some internal thoughts from the characters, but this doesn’t add much in the grand scheme of things. I liked this book but I can’t help but wonder if anyone will really love it. Those who enjoyed the game and played it through multiple times might find the added internal monologues of the characters fascinating, but if you’re not super close to the game then this feels like an unnecessary retread. I liked this book but I can't help but wonder if anyone will really love it. Those who enjoyed the game and played through it multiple times might find the added internal monologues of the characters fascinating, but if you're not super close to the game then this feels like an unnecessary retread.